Following high-profile collaborations with renowned artists Kaws, Futura and Os Gemeos, Hennessy invited Shepard Fairey – one of the most influential American artists of the early 21st century – to propose his personal vision of the unique Hennessy Very Special cognac. 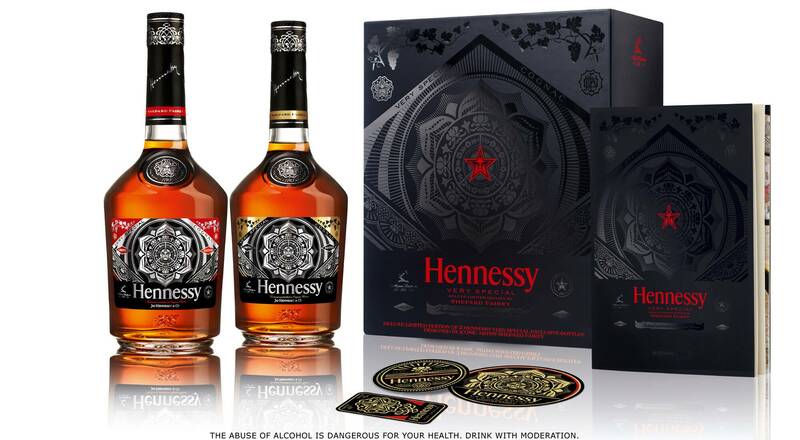 This natural collaboration is inspired by the many values Shepard Fairey and Hennessy share: a never-ending quest for excellence, the love of true craftsmanship, and a passion for tradition and innovation. The artist created his own design for the label on the Hennessy Very Special bottle, resulting in a limited edition destined to leave a memorable impression. The collaboration continues with the “Very Special World Tour”, which will visit leading cities across the globe. At each stop Shepard Fairey will unveil a street mural created specially for the event. After kicking off in Los Angeles in early July, the tour will head for New York, Tokyo, Johannesburg and Berlin.